Personal Lea: It's that time of year again! Teacher gifts! It's that time of year again! Teacher gifts! Also, I have some market totes arriving soon and they will go very fast! Black, brown, lime, red, hot pink and zebra! 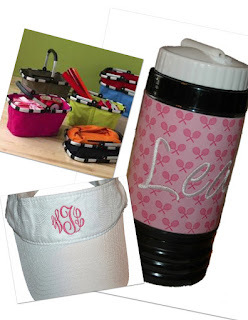 They look awesome monogrammed! Email me if you are interested! Just found your blog Miss Preppy in Paradise, and we love it! We have had Giants for years! We currently have a deviation from that norm with Tilly our Silly rescue bulldog, but we'll be going back to a Giant when it is time to get another pooch for the Prepatorium. We'll be back to visit, feel free to pop over and say "hey" to us too!